A Radical Thought…What if The Shooting of Michael Brown Was Justified? Here’s a radical thought not heard in the mainstream media, what if Darren Wilson’s shooting of Michael Brown was justified? I am not saying it was, but we sure as hell don’t know if it wasn’t. Just saying, when Dr. Baden spoke about his autopsy, despite what the lawyers said when they introduced him, Baden said he could not tell if the “kill shot” were fired from the front or the back. He said there was no gunshot residue but to verify the distance between the gun barrel and Mr. Brown he needed to examine his clothing. In other words maybe some of the eye witness accounts were right or maybe they were wrong. The Ferguson police chief who released the video of Michael Brown stealing cigars and stiff-arming the owner of a convenience store is an idiot, but despite what he said Wilson may have known about the theft. Even if he did, the theft does go to Mr. Brown’s state of mind at the time of the incident. We don’t know what happened. Many people in Ferguson are demanding Wilson be arrested immediately. However it seems to me prosecutors are taking their time as to not screw things up. Yes there are witness reports that point to Officer Wilson shooing Mr. Brown while he was fleeing or had is hands up. But there are also witness reports that back up Officer Wilson’s story. The video below is unconfirmed but it seems to me that the police needs to talk to the person who made the tape below before they make charges. Other police who were there backed up Wilson’s story. They may be telling the truth, they may be lying to back up their fellow policeman. We don’t know but the mainstream media seems to know. It’s very interesting that the same mainstream media afraid hurt terrorists feelings so they call them militants, already have Officer Wilson convicted. They ask why wasn’t he arrested yet. Perhaps the evidence isn’t there yet. The residents of Ferguson have no idea what really happened last Saturday, and neither does the mainstream media. Justice isn’t arresting Officer Wilson, Justice is finding out the truth, , Officer Wilson may have been totally justified in the shooting and if that’s the case he should be exonerated. On the other hand he may have been totally wrong and if that’s the case he should be arrested, tried and thrown in Jail. The media isn’t doing Ferguson Missouri, Michael Brown, or Officer Wilson any favors by deciding the results of an investigation that is still incomplete. 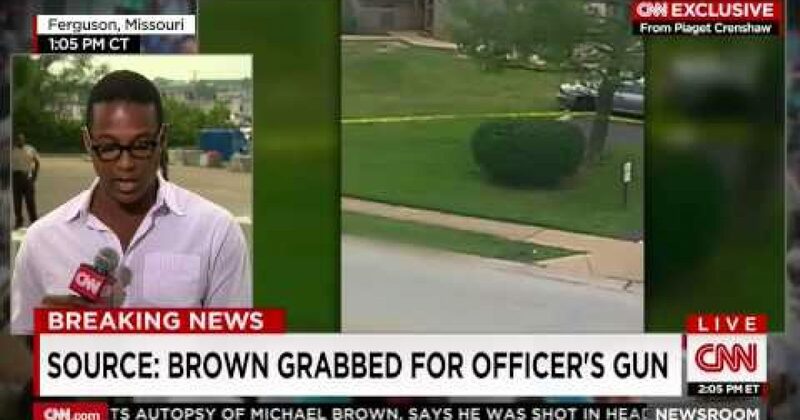 On Monday afternoon CNN broadcast Officer Wilson’s account of the story (below). If it is true then the shooting may have been justified. But the media doesn’t know what is true or not and it’s about time they admit it.